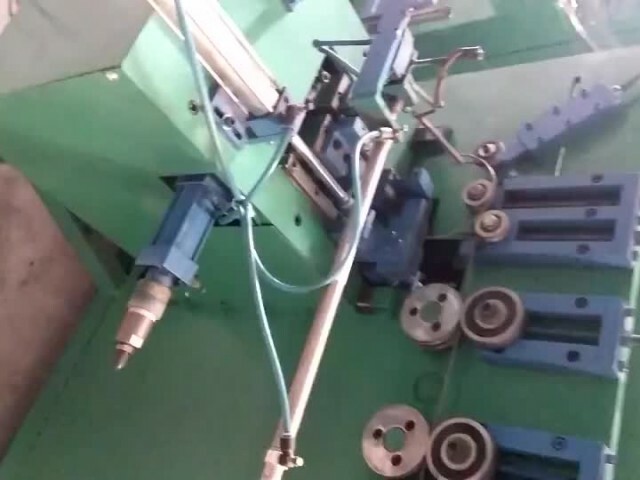 Automatic ring making & welding combined machine video from Reppart Industry Co.,Ltd. Reppart Group is a machinery supplier from China. We supply various machinery for industrial production,including complete plant equipment,such as full set of machines for fan guard making,refrigeration compressor making,condenser/evaporator production,metal cabinet making,Aluminium profile extrusion,electric wire/cable production,plastic products production,etc.We are able to provide complete technology solution. We also supply marine products with CCS/LR/DNV/ABS certificate,such as shaft,propeller, rudder,rudder stock.alibba ID:reppart1.Just tell us what product you want to make, and quantity,size, raw material,and standard if you know. 01:25 Automatic looping Flat spiral fan guard machine Reppart Industry Co.,Ltd. 00:47 3D Automatic tube bending machine Reppart Industry Co.,Ltd. 00:55 refrigeration compressor component welding mc Reppart Industry Co.,Ltd. 00:46 refrigeration compressor component welding machine Reppart Industry Co.,Ltd. 00:34 Automatic double loop chain machine Reppart Industry Co.,Ltd.